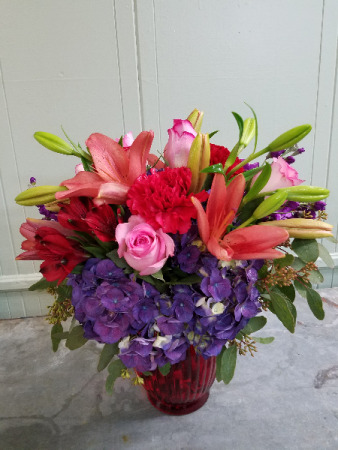 Jewel tone vase of vibrant hydrangea, roses, lilies, alstromeria, and stock. 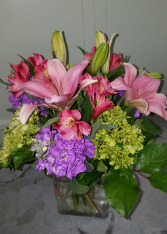 Tall glass cube with lilies, alstromeria, stock, and hydrangea. 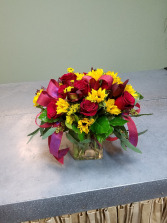 Gathering arrangement of sunflowers, roses, safari sunset, and solidago. 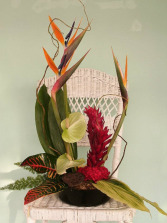 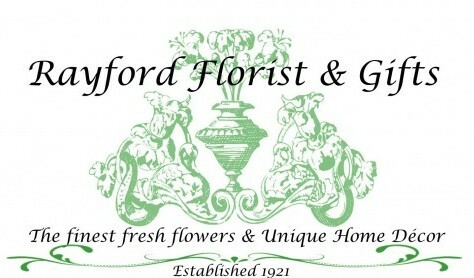 Fresh cut tropical flowers with exotic foliage in a formal linear design.